St Moores aim to provide Landlords with peace of mind and a sense of security. The professional staff will take care of all Landlord’s needs whether its a Fully Managed Property or an Unmanaged Property. In the cases of Fully Managed, we will take care of everything, from advertising and finding a tenant for the property to collecting the rent, solving any maintenance issues and carrying out a closing inventory. With Let-Only Property Management, St Moores will endeavour to find the most suitable tenant and will go as far as preparing the contract and handing over keys. St Moores intend to make all their Landlords feel at ease and confident with the way in which their property is being tenanted and maintained. St Moores register all deposits with a Tenancy Deposit Scheme. St Moores are members of ARLA giving Landlords full protection in regards to rent and deposits. We are happy to talk to you without obligation, whatever your situation. We are a dedicated independent Estate Agent & property specialist with exceptional experience in dealing with the renting of houses and flats. Established for over 25 years we are one of Southampton’s most experienced letting agents, with approachable & friendly staff, who work hard to maintain our outstanding reputation in residential lettings throughout Southampton. We care about you & we care about the service we provide. To ensure our landlords receive the highest standard of service, our London Road office is open six days a week alongside our 24 hour emergency phone line. It is important to choose the right letting agent, no matter what your needs are, we are certain we can provide you with impeccable service. When it comes to maintenance issues, we take them seriously. 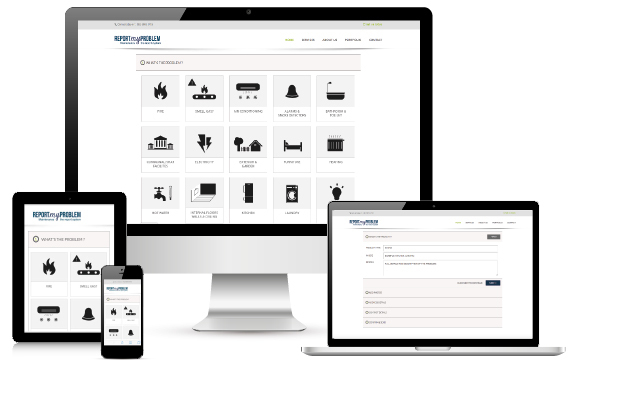 St Moores have an easy to use online system that allows tenants to report and take pictures of any maintenance and property issues in 5 easy steps, directly from your computer, tablet or mobile. Our bespoke system ensures the issue is logged and dealt with quickly.